DUBLIN – Members of the Sudanese community in Ireland have called on the Irish government to condemn the actions of the Sudanese government amid violent clashes in the country. The Sudanese government has said 19 people have been killed in protests in recent weeks, but Amnesty International has estimated that the death toll is twice that number. Protests erupted last month when the government raised the price of a small loaf of bread from one Sudanese pound to three (from about two to six cents). The demonstrations quickly spread into large anti-government rallies. 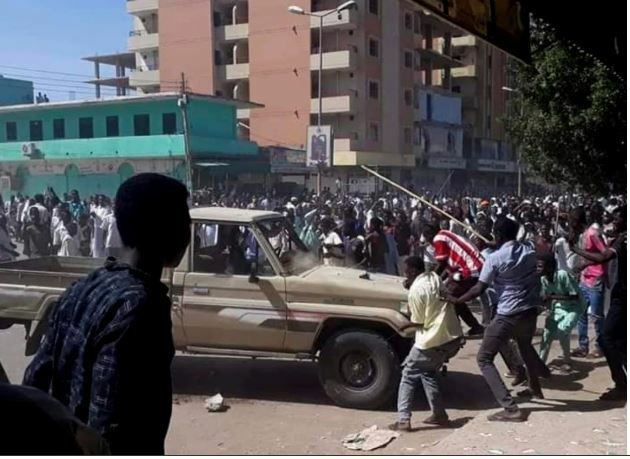 Now the diaspora Community have sent a letter to a number of TDs and the Department of Foreign Affairs, criticizing the Sudanese government as well as the international reaction to the violence. It states that the protests are “in response to the ever-growing lack of access to needs as basic as bread, fuel, and access to funds”. Limitations have been placed on how much money people can withdraw from banks as the government attempts to halt growing inflation. 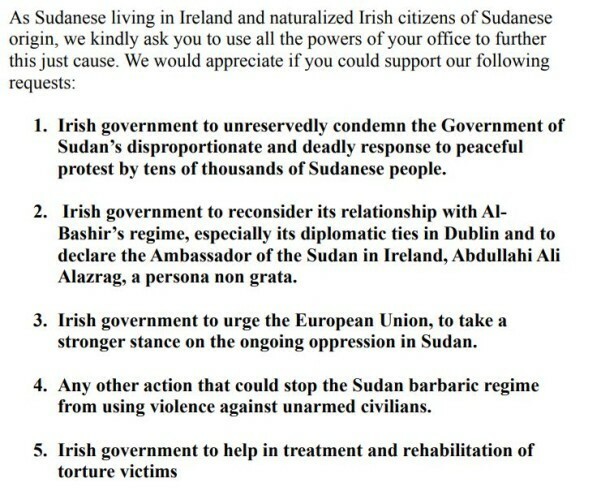 The community has also asked the Irish Government to urge the European Union to take action on the on-going violence in Sudan. Sudan protests have taken almost 3 weeks as citizens across the country filled the streets after the government announced it would end bread subsidies and raising their prices. Protests have become an outpouring of anger toward President Omar al-Bashir, who has ruled the country for nearly three decades.